I've had type 1 diabetes since 2002 and for many years, I followed the recommended diet plan from my doctors. I was exhausted from the high and low blood sugar swings. I was constantly hungry and would eat the entire kitchen if I had a low (which was often). I was 35 lbs overweight and knew there must be a better way. I found that way in early 2014 but I didn't want to believe it. I read Dr. Bernstein's Diabetes Solution and while it made sense to me, it seemed too drastic and restrictive. I wasn't ready for it. I didn't think I couldn't do it. I kept thinking about the book and how I should try, but I didn't want to limit myself. After dabbling with Paleo eating and the Whole30 program (which I completed twice in a year), I re-read Dr. Bernstein's book and in January 2015, I knew that I had to try it. After one day of eating low-carb, I found an immediate and dramatic improvement in my blood glucose levels. After a week of eating low-carb, I felt better with less brain fog and more energy. After 3 months of low-carb, I realized that this is a way of eating to last a lifetime. The results are so good, and the meal plan is manageable and sustainable for the long-term. My A1c (Glycosylated Hemoglobin) was historically "good" (ranging from 7.8% at the high end to 6.3% at the low end during my two pregnancies) but was a result of many highs and lows. When I started eating Low-Carb, my A1c went from 7.1% in January 2015 to 4.4% at the end of April 2015. Since then, I've balanced out with an A1c in the low 5% range. I still use insulin (Type 1 Diabetes is not curable with diet and exercise, but certainly manageable) but my insulin amounts are greatly reduced. My insulin requirements went from 40+ units of insulin (bolus and basal) to a current total of 20 units per day. Physically stronger than I've ever been in my life. Lowest weight in the last 10 years (since pre-pregnancy). No daily blood glucose rollercoaster! I don't have all the answers but I work hard to find them. I must share what I've learned over years of eating low carb because I feel strongly that this is the key to diabetes management that no one has been telling us. I wish I knew about this 13 years ago when I was first diagnosed. Low Carb eating is not a cure for Type 1 Diabetes. It's not some sort of quack snake-oil treatment being sold from the back of a Van. It's in the news more and more recently. Books are being written, studies are being conducted and more people are having successes with low carb eating for diabetes management. The word is spreading. It's hard work and it's commitment but once you see the results, it becomes a no-brainer. I truly believe that this way of eating makes sense for anyone with type 1 diabetes and improved blood sugar levels WILL improve your quality of life. Please check out our website for more information about low carb eating for diabetes management. If you need help getting started or navigating the details of Dr. Bernstein's low carb plan for diabetes management, please check out our recipes, blog posts, supporting information, personal coaching and our new online course. 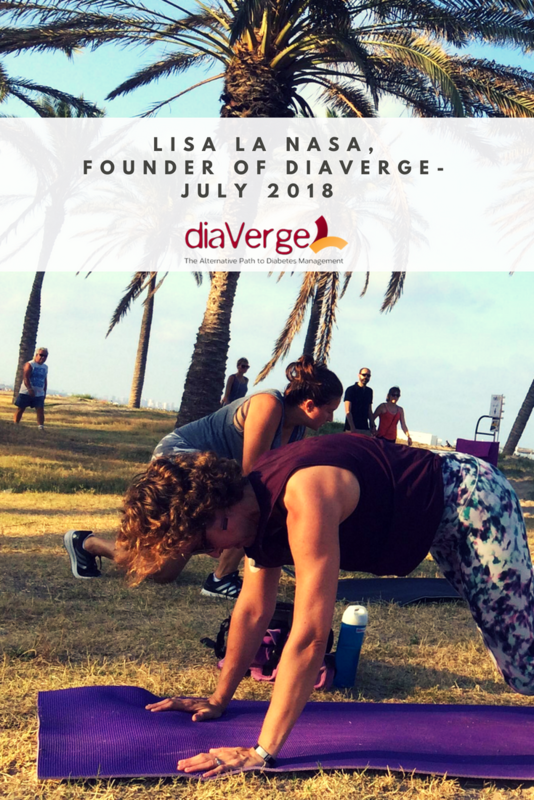 Lisa La Nasa was diagnosed with T1D in 2002 and is a Certified Level 2 Diabetes Paraprofessional. Both her mom and brother are also T1, so although she wasn't diagnosed until age 25, she grew up around T1D. Lisa's lived in 4 countries on 3 continents since diagnosis and traveled to many more, including hiking through Thailand 6 weeks after diagnosis. Mom of two beautiful girls (with #2 born in an accidental, unassisted home birth), wife, coffee-lover. Fitness, yoga & meditation enthusiast. Lisa's goal is to help people with diabetes improve their lives through low carb eating and healthy living. Curious about our 'Real Life Low Carb" online course? Click here to learn more and register.